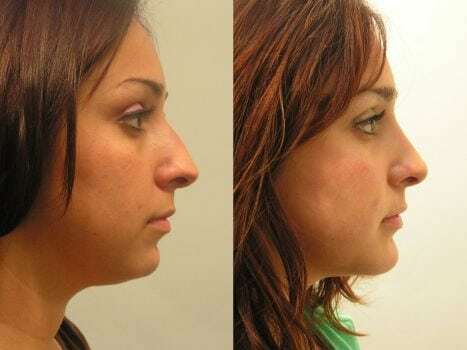 Rhinoplasty is a surgical alteration of the nose skeleton and surrounding soft tissues, and is increasingly popular among men and women who are dissatisfied with the shape or size of their nose. Whether the source of the problem is heredity or injury, many medical issues may arise, including a deviated septum and associated breathing problems. 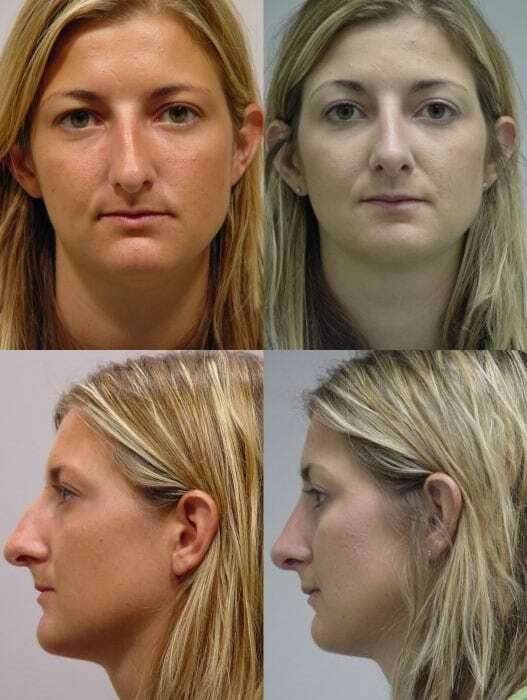 Dr. Batra can improve those problems and give the nose a more desirable structure and appearance. 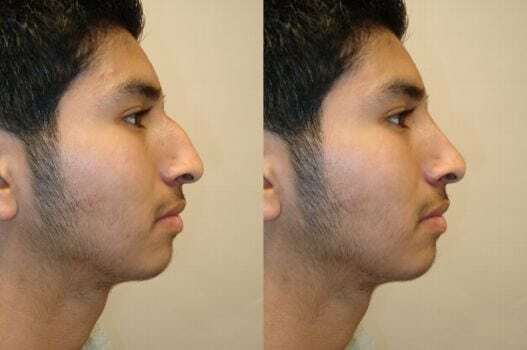 A disproportionately large nose, a bulbous tip, flat nose, or very wide nose can have a negative effect on patients’ self-confidence and self-esteem. By undergoing nose surgery, patients can correct these issues and enhance their quality of life. Coastal Plastic Surgeons strive to deliver the best possible results for all patients. 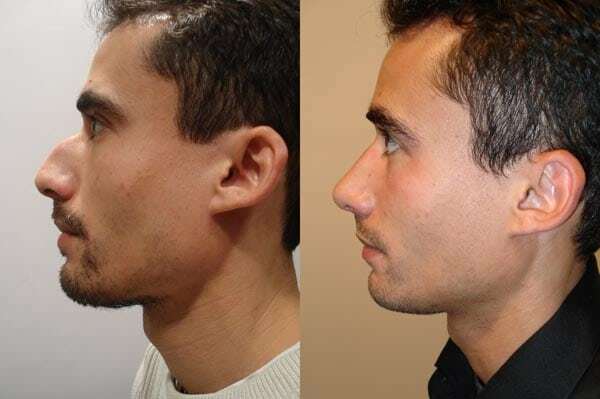 If you would like to learn more about rhinoplasty, contact Coastal Plastic Surgeons today. At the San Diego plastic surgery offices of Dr. Batra, patients receive the highest quality treatments and impeccable care. 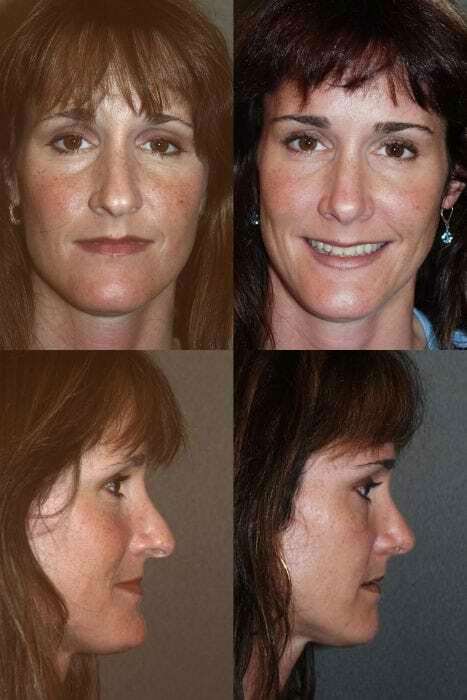 This approach has helped Coastal Plastic Surgeons establish a reputation as foremost rhinoplasty, eyelid surgery, brow lift and facelift surgeons. 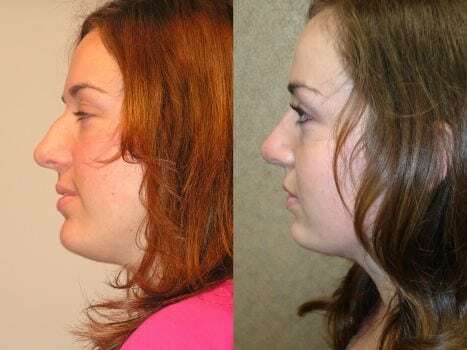 In addition, Dr. Batra specializes in rhinoplasty surgery and have helped many rhinoplasty patients achieve a more proportionate nose appearance. 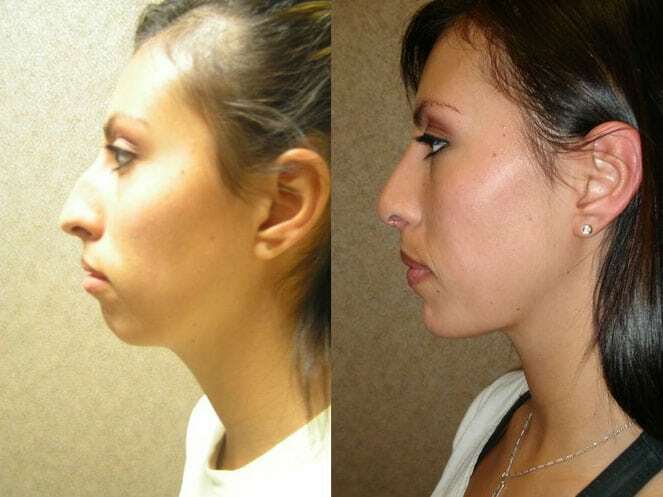 This 23-year-old patient desired improvement of her nose profile. She also felt that her nose was too long for her face. She underwent a rhinoplasty. As you can see in the post-operative photographs taken six months after surgery, her nose is shortened and the hump is gone. The patient is very happy with the outcome. This male patient felt that his hump was overpowering the overall appearance of his nose. He underwent a hump reduction. 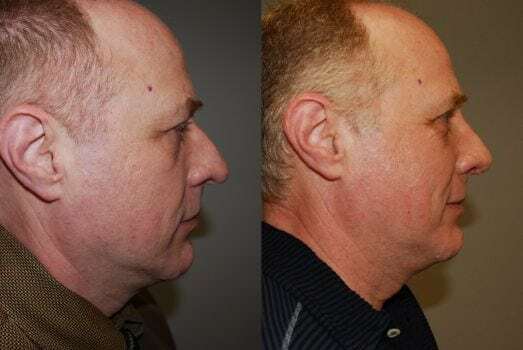 As you can see in the post-operative photographs, he has a nice and straight profile and his nose appears very natural. 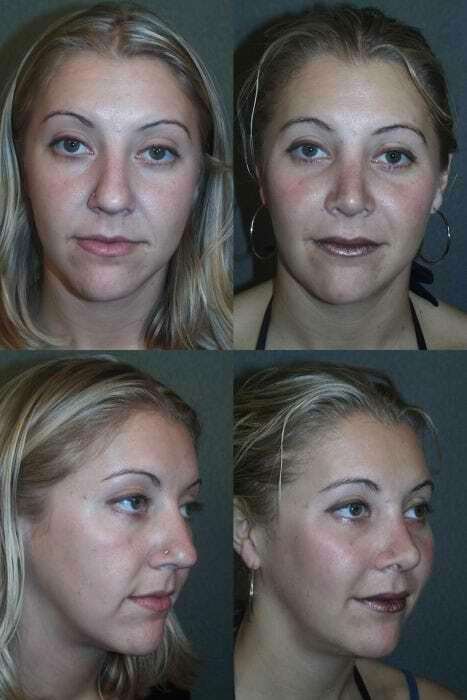 This patient wanted to improve the tip of her nose and for her nose to appear more narrow. She also had a small hump that she wanted removed. As you can see in the post-operative photographs, the hump is gone and she has a nice and straight profile. Her nose and bridge are more narrow and the tip better fits the overall appearance of her face. This patient had an ill-defined nose, as well as flattened cheekbones. She also desired to have a slight curvature to the dorsum of her nose. 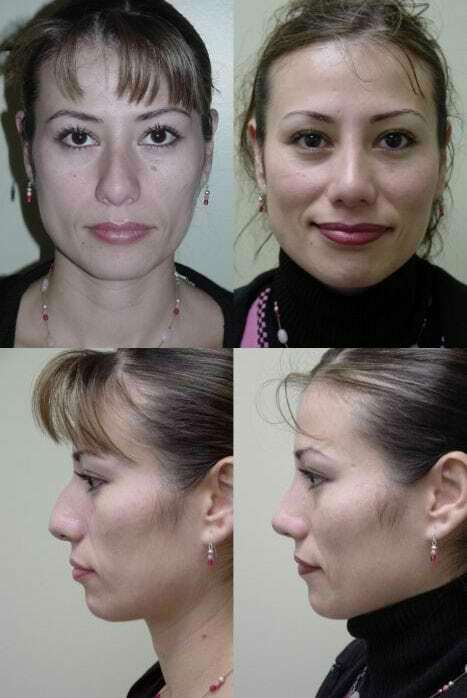 She underwent a cheek augmentation with implants, as well as a rhinoplasty. As you can seen in these post-operative photographs taken one year after surgery, we were able to achieve her desired outcome. Overall, she is very happy with her result. 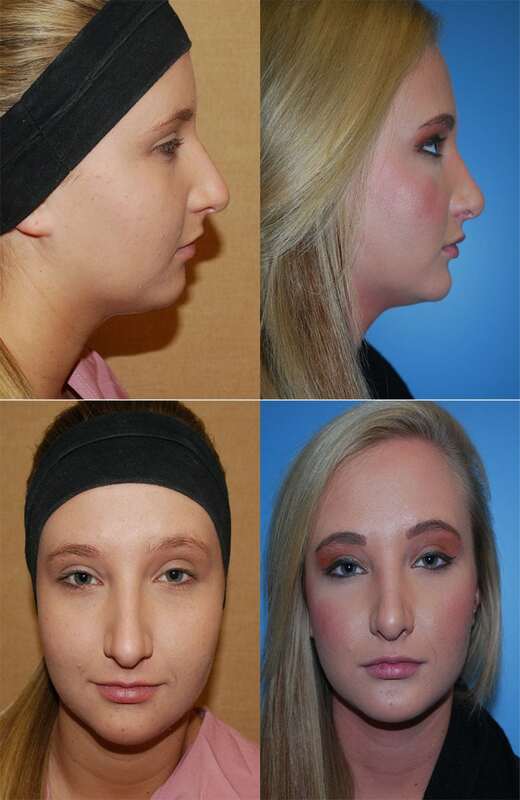 This patient wanted a smaller and, “cuter” nose, as well as reduction in the hump. She underwent a rhinoplasty and we modified the tip, took the hump down, and shortened her nose to better fit her face. These photographs were taken one year after surgery. The biggest concern for this patient was the hump in her nose, as well as an ill-defined tip. She underwent de-fatting of the tip and we took the hump down, including bone and cartilage. These photographs were taken one year after surgery. She has a thick skin envelope, which took away some of the refinement of the tip obtained at the time of the surgery, but, overall, she is very happy with her result. 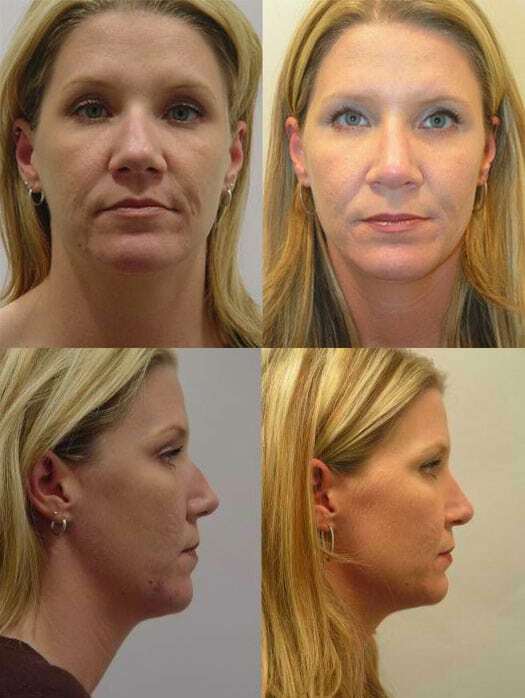 This patient desired to reduce the hump of her nose and to remove fat from under her chin. She underwent liposuction of the chin and the hump was taken down to give her a more pleasing profile. This patient desired to have some of the hump taken down from her nose; otherwise, she liked the overall look of her nose. As seen in these photographs, the hump was taken down and the remainder of her nose remained the same. Overall, she is very happy with her outcome. The concern of this patient was that the bridge of her nose was very wide. She was also not happy with the appearance of the hump. Rhinoplasty was performed. The hump was taken down and the bridge was brought in to narrow the nose. This patient is very happy with her outcome. 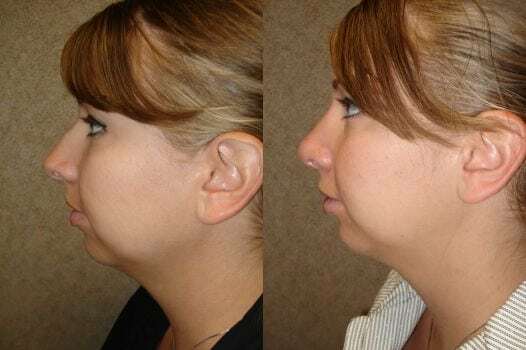 This patient just wanted to reduce the hump of her nose. We recommended that she undergo a chin augmentation, as well, but this was not something she wanted to pursue. These post-operative photographs show that her hump was reduced nicely. She is very happy her outcome. This patient felt that the hump on her nose took away from the femininity of her face. 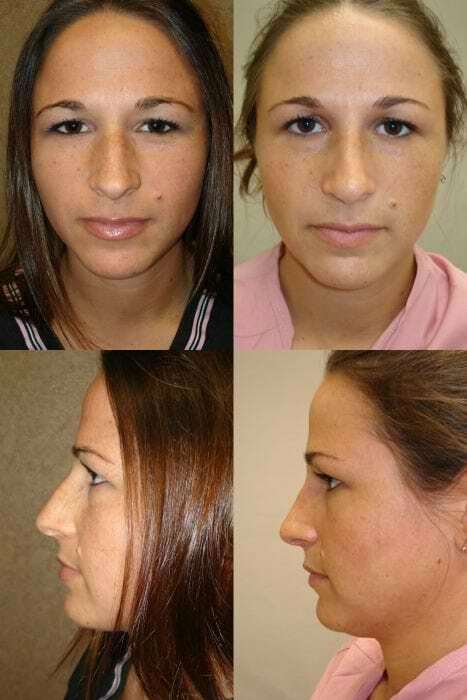 We performed a tip rhinoplasty, as well as a hump reduction. These photographs were taken six months after surgery and show a very nice outcome. This patient desired better facial balance, overall. 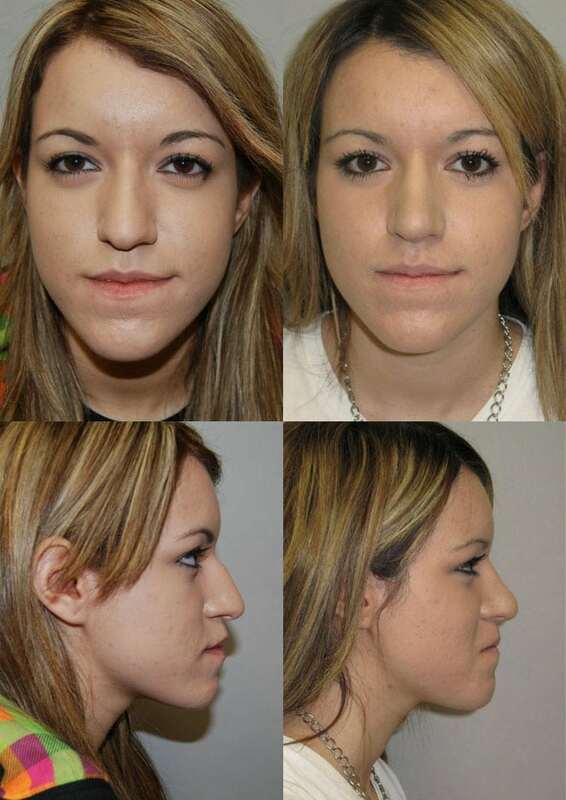 She underwent a rhinoplasty with reduction of the hump, as well as a chin augmentation with placement of an implant. As you can see in the post-operative photographs, the hump is gone and she has the overall balance she desired. She is very happy with her outcome. This patient’s biggest concern was facial balance. 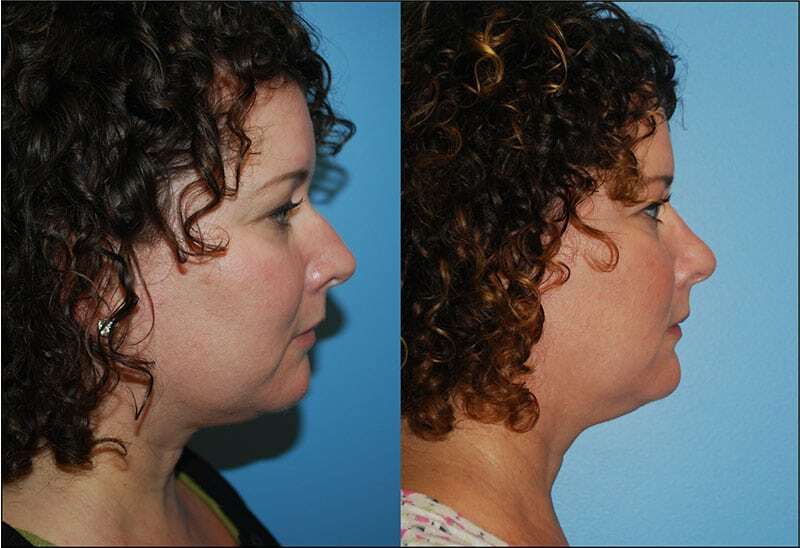 We reduced the hump of her nose and gave her a small chin implant to give her better proportion. She is very happy with her outcome. This patient’s main concern was the hump on her nose. 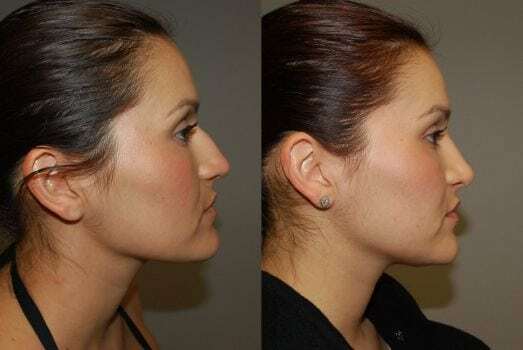 As you can see on the postoperative photograph taken six months after the surgery, the hump is reduced and overall, her profile is much improved. This patient did not like the hump or width of the bridge of her nose. She also felt that her nose was a little, “overbearing” for her face. She underwent a rhinoplasty with reduction of the hump. We also refined the tip of her nose. Overall, she has a very nice result. This patient’s biggest concern was that the hump of his nose was, “overbearing." 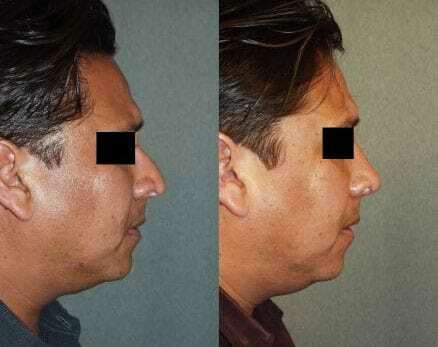 As you can see in the post-operative photographs taken six months after surgery, the hump was taken down and the overall appearance of his nose is much nicer. This male patient wanted the hump of his nose removed. As you can see in the post-operative photographs, the hump is gone and his nose fits his face much better, overall. This patient felt that the tip of his nose, “drooped,” and he did not like the appearance of the hump. The tip was supported with cartilage and the hump was taken down to give him a better profile. He is very happy with the outcome.